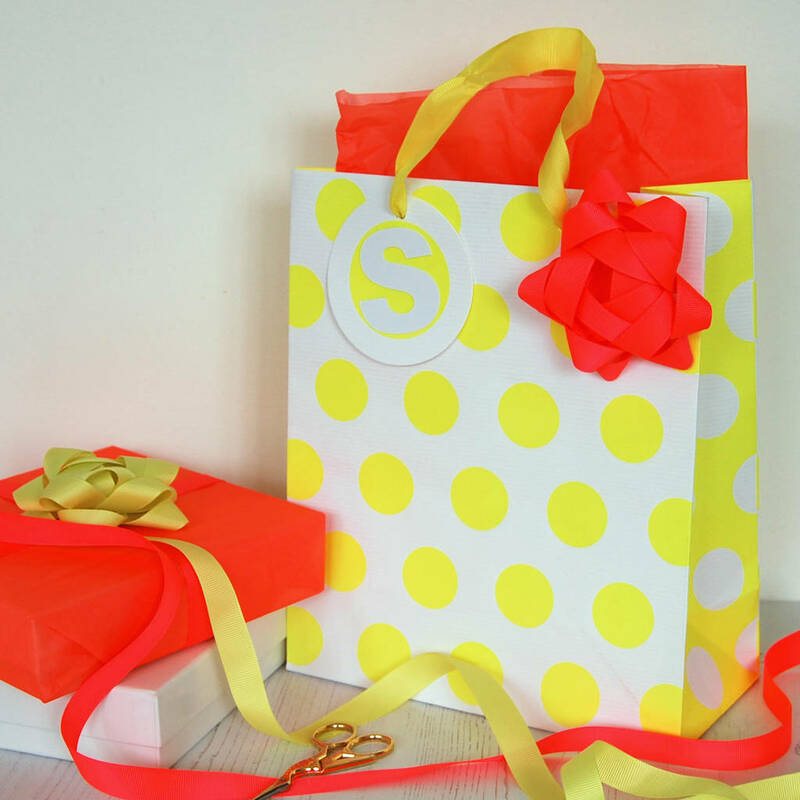 You've found the perfect gift - here's the perfect wrapping! This neon gift bag set will make your present POP! 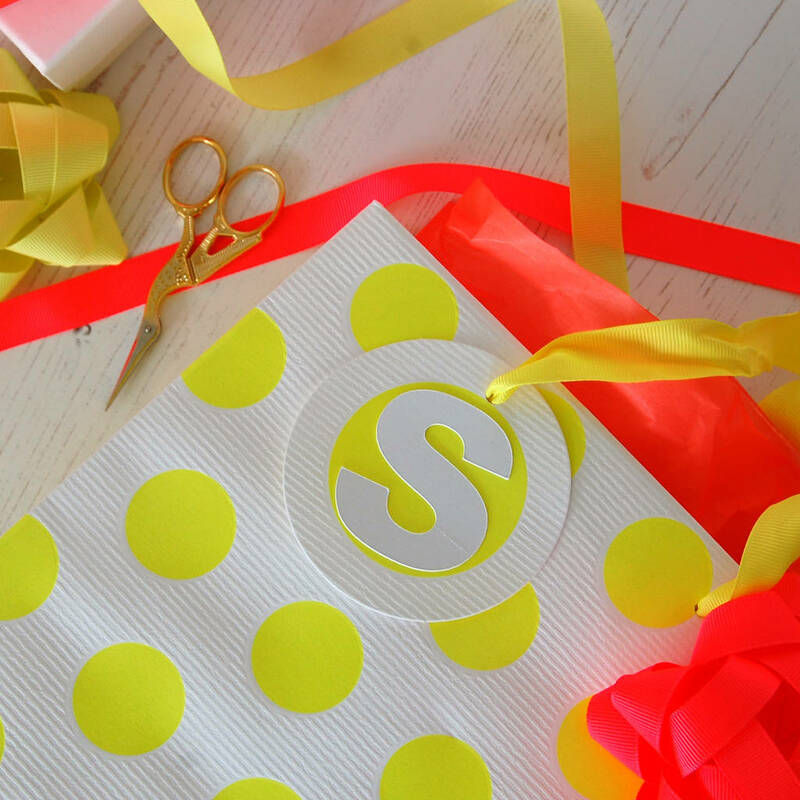 It's bold, bright and fun. The size of the bag lends it perfectly to all sorts of gifts and it's colour scheme suits young, old, male and female. 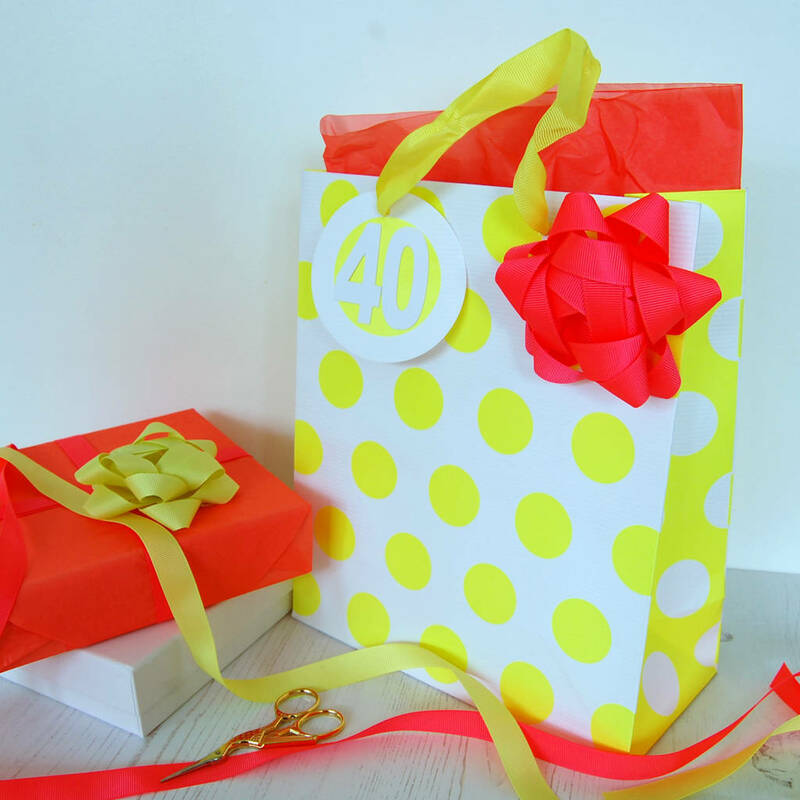 Personalise the gift bag with a single letter or number for the recipients name or age and accessorise with tissue paper, ribbon and bows. - 2m of embossed grosgrain ribbon and matching coloured embossed grosgrain bow (in your choice of neon yellow or neon orange) . 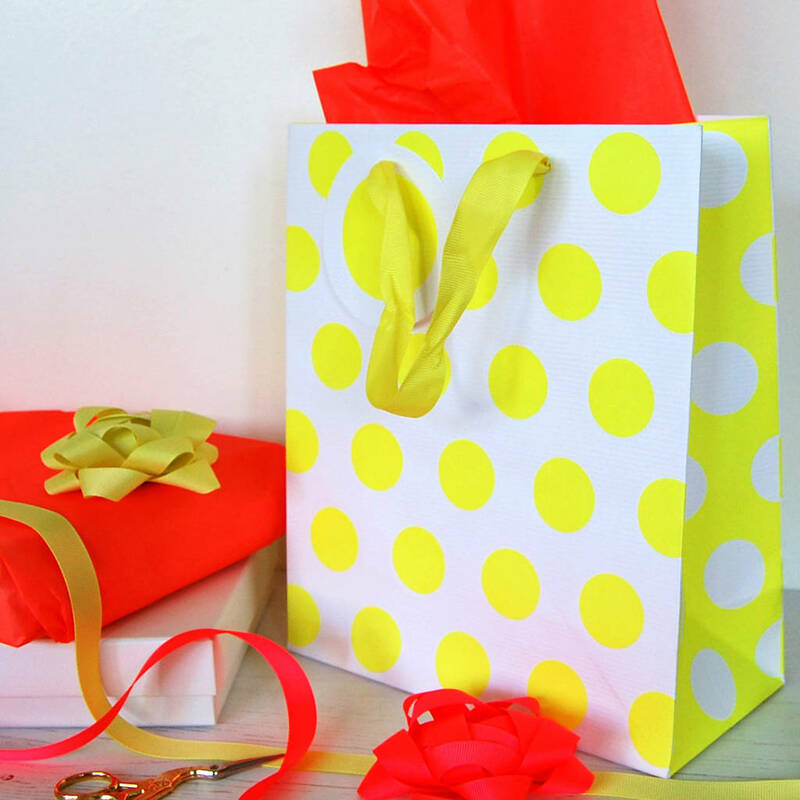 Choose your items from the drop down menu to create your perfect gift wrap set. Gift bag made from heavy weight paper. Gift bag measures: w21.5cm h25cm. base opening10cm.